The third proposition to my thesis is probably the hardest to defend, but it’s also one of my favorites. 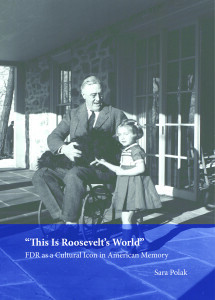 FDR was wheelchair-bound, as most people nowadays are aware. This is not something US members of the public would have known during his presidency – it was well-known Roosevelt had had polio, but every effort was made to keep the wheelchair, and the fact that FDR could not walk, out of the public view. He “walked” to the rostrum using leg braces, a crutch and the arm of his son, the rostrum had to be screwed to the floor so he could lean on it, and he had a gentleman’s agreement with the press that they would not photograph him in his wheelchair. Dit bericht is geplaatst in Autofabrication. Bookmark de permalink.